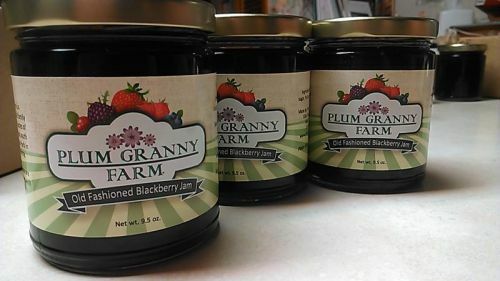 Plum Granny Farm Weekly Update for August 10, 2018 -- To Market, To Market! Posted 8/12/2018 11:22am by Cheryl. Fall is on our minds! Yes, it is about 6 weeks until the first day of Autumn and that makes our hearts (and pace) quicken! We are doing lots of prep to get ready for the fall season including trying some new things. Let's take a look, shall we? 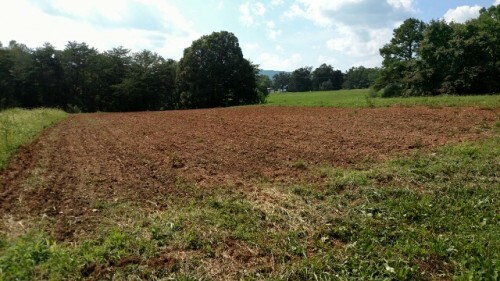 Fields are getting prepped for cover crops. This is where the potatoes were this season. We are getting a quick crop of buckwheat in now (bees LOVE the flowers!) and will be following up with other cover crops to overwinter. 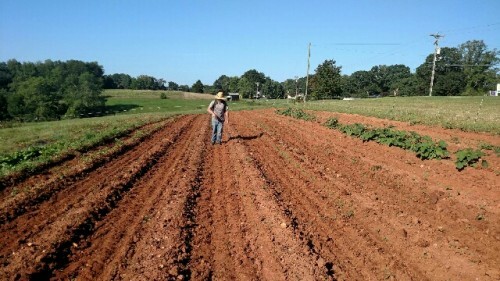 We are also preparing to plant fall brassicas such as kale, cabbage, collards, kohlrabi and broccoli. 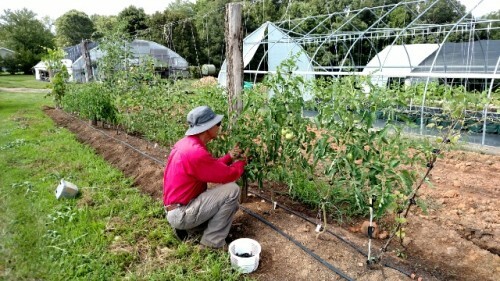 Here Chris is using the flame weeder to remove the weeds on the tops of the beds. A brief burst of flame will cause the plant to die -- you don't have to totally burn it. This is a quick and effect way to weed. The greenhouse looks like spring again! 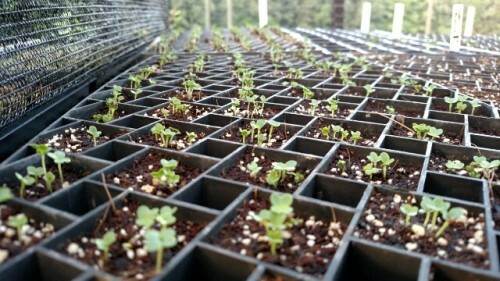 LOTS of trays with seedlings popping up. This is a tray of salad turnips. 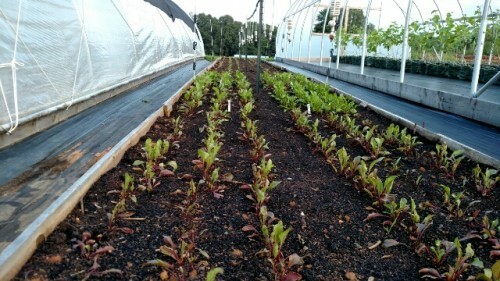 Beets are popping! We are doing an experiment between transplanting beets (foreground) and direct seeding (at the back of the bed) to see which produces the best quality. 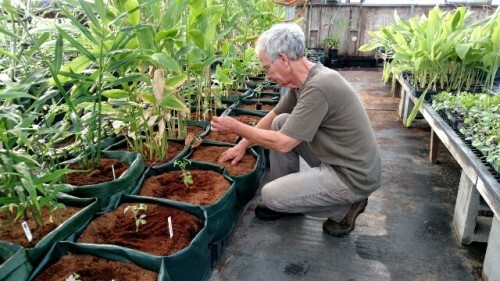 By doing trials such as this, we are better able to refine our production techniques. Always learning! Peppers are popping too! 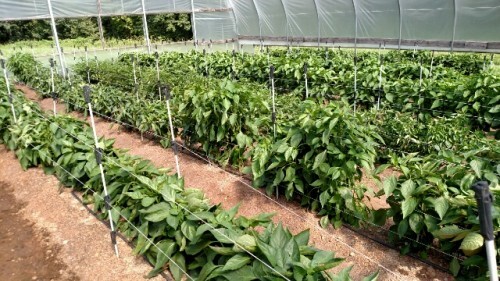 The Pepper House (aka Raz House) is FULL of beautiful pepper plants LOADED with peppers. 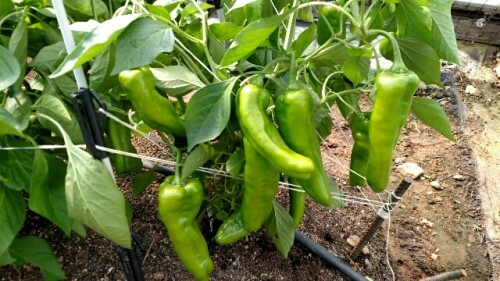 Most of them need to ripen but our shishitos are ready now and we'll have the first of them at Market Saturday. The close-up of the plant above is a Marconi, an Italian heirloom that is very sweet when it ripens. The perfect pepper for a sauté with onions and garlic! These should be ready in about a month. We are also taking care of what most consider "Summer" crops. Our field tomatoes are looking great! The plants are loaded with fruit and, as usual, we should have tomatoes l-o-n-g after everyone else is done for the year! 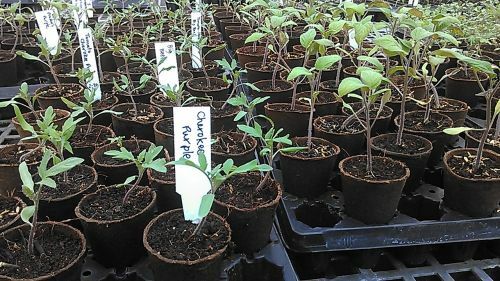 But we have also just started our fall/winter tomatoes and cucumbers in the greenhouse! Won't they be wonderful for Small Business Saturday? 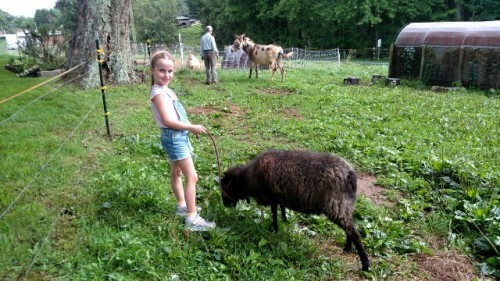 We got BB and Tony moved to their alternate paddock this week -- and we brought in some very special helpers all the way from Houston! 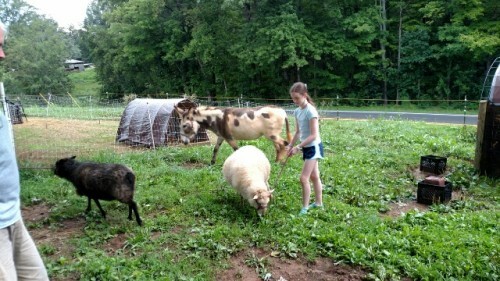 Cheryl's nephew, Scott, and his family are visiting this week so we put his daughters, Sophia and Sydney to work! They didn't seem to mind too much! When asked for a comment, all Tony could say was "Mrmph, mmrph, mmrph!" I think that was a compliment! 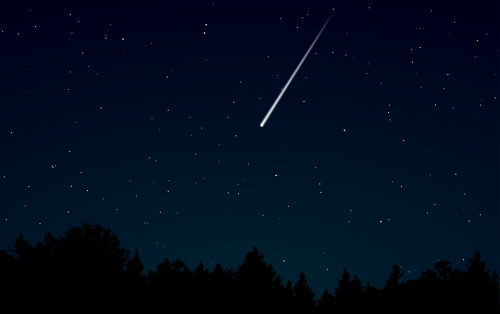 August brings many things but one of our treasured moments is watching the Perseid Meteor Showers. When we lived in New Mexico, there was some mighty fine skywatching opportunities but hopefully we'll catch a break here in Piedmont NC this weekend. Currently the forecast calls for clear skies overnight on Saturday night and Sunday early morning. The Perseids peak August 12-13. Thanks to a new moon, the days before and after will also provide nice, dark skies. Look for shooting stars a few hours after twilight until dawn on the days surrounding the peak. Happy Meteor Watching!